Zingy sea salt flakes. 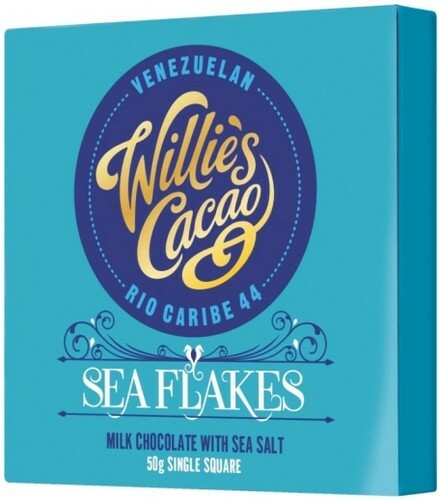 44% milk chocolate made with cocoa beans from Rio Caribe, Venezuela. ingredients: raw cane sugar, cocoa mass, milk powder, cocoa butter, sea salt, . may contain traces of nuts.